Israel has welcomed a Saudi cleric’s remarks in which he termed Hamas, a Palestinian resistance group, as a terrorist outfit. Israeli Communications Minister Ayoub Kara wrote on his official Twitter account: "We congratulate Abdul Aziz Al-Sheikh, the Grand Mufti of Saudi Arabia, as well as the head of Ulema (Islamic scholars) for his fatwa forbidding the fight against the Jews and forbidding to kill them." Kara also invited the Saudi mufti to visit Israel, saying he will be welcomed with a high level of respect, Anadolu Agency reports. 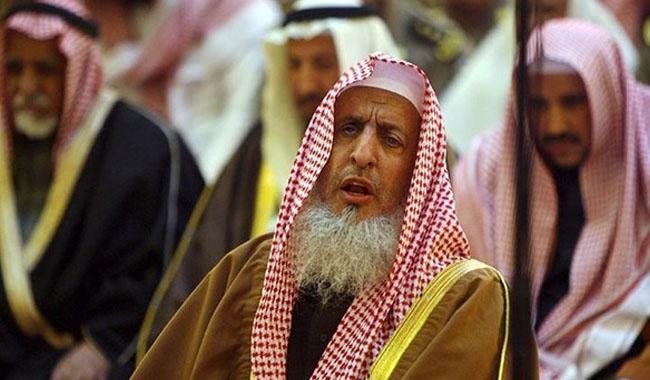 Earlier, Saudi mufti Abdul Aziz Al-Sheikh had said on a television program that fighting against Israel was inappropriate and Hamas was a "terror organization" in reply to a question regarding July's anger across the Israeli-occupied West Bank when Israel shut Al-Aqsa Mosque. Israel had occupied the West Bank during the 1967 Arab-Israeli War. International law views the West Bank and East Jerusalem as "occupied territories" and considers all Jewish settlement construction there as illegal.